Cradle of Apulian Baroque, which was developed here in a unique and totally original way, Lecce is called the Florence of the Baroque. Walking the streets of Lecce means admire the soft Salento stones, that have taken different shapes thanks to the work of local artists in the spectacular facades of churches and palaces. Among other things, the Basilica of St. Croce deserves a visit; it's one of the best examples of the Baroque of Lecce. The name was given by the Greeks, who called it Leukos, "Sunlight." 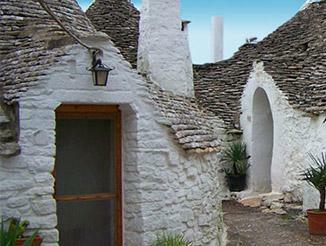 Santa Maria di Leuca is a very popular tourist resort, known for the old century villas built in different styles. 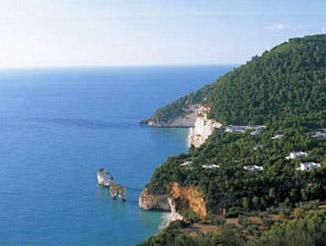 Its position between two seas give the chance to admire both sunrise and sunset from its beaches. 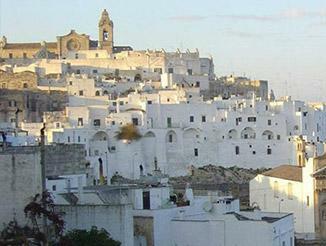 Otranto, the easternmost city in Italy, is a town of about 5,500 inhabitants. The old town has remained almost intact and is surrounded by walls that were built by the Aragonese to protect against invasions of the Turks in 1500. The Cathedral has the unmistakable imprint of the local Romanesque style, of particular interest is the mosaic floor, made of 600,000 multicolored tiles. It takes its name from the dialect "Zinzuli" rags, which resemble the stalactites in the cave. It 's definitely one of the most important caves of the Salento, Puglia exemplary manifestation of the karst, which has fostered over the centuries, the creation of several caves. Only a small part of it can be visited (for about 150 meters); the decision has been taken in order to protect certain species of great biological importance that dwell in the deepest cavity.